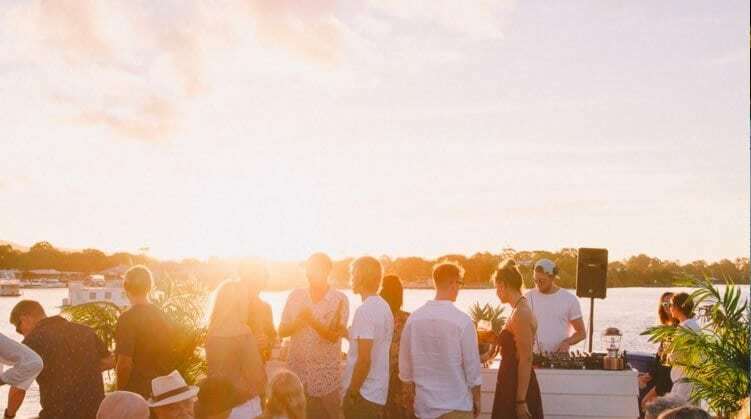 Whether you’re watching the sunset in Noosa from your balcony, by the river, at Main Beach, or in the Noosa National Park, there are few things as breathtaking as the pink, gold and amber tones of the sky as the sun disappears. 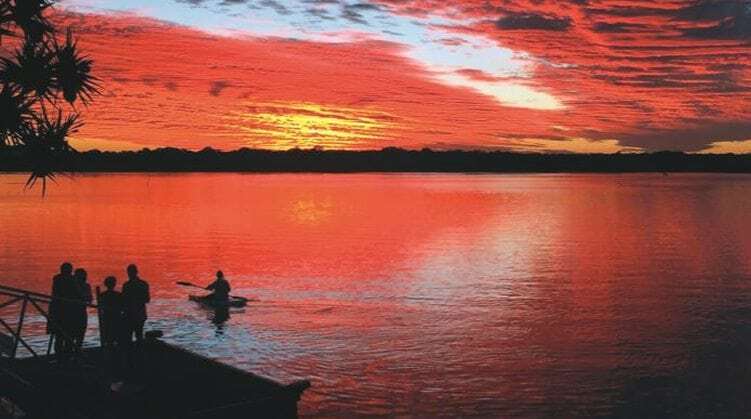 We have enjoyed our fair share of sunsets here at Rickys, so we have compiled a list of the best spots to catch a stunning Sunshine Coast sunset. Of course we had to start with one of our front tables, right on the waterfront of Noosa River, with a cocktail in hand. Trust us, this spot is tough to beat. 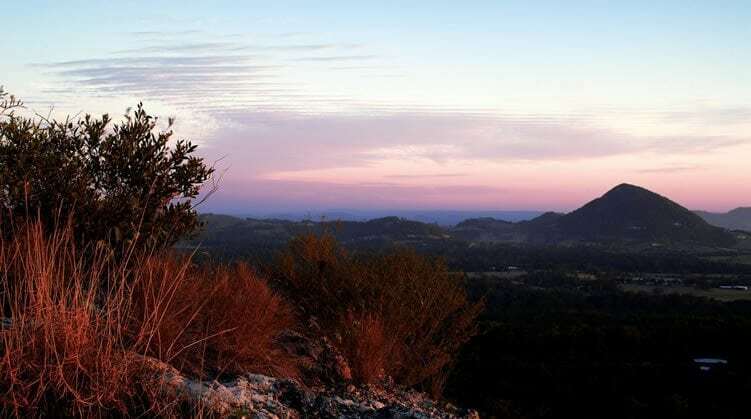 The best view of the sun setting is from the lookout, and you can find Mt Tinbeerwah in Tewantin National Park, just 15 minutes from Noosa. It is 1km to the top, and just 130m to the first look out point. 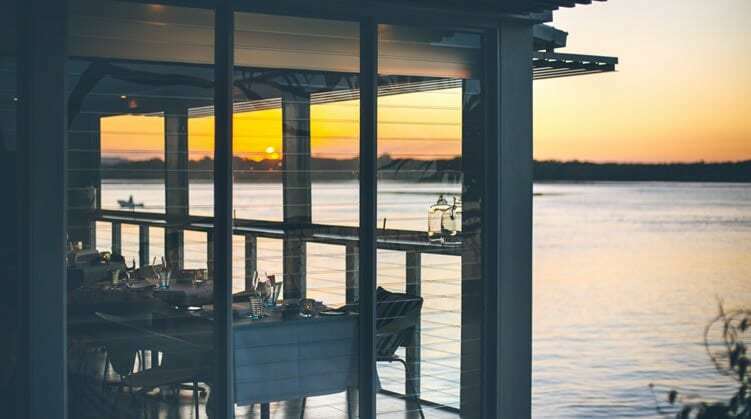 Assemble a gourmet picnic basket and remember a bottle of champagne to enjoy as you relax by the water’s edge and watch the sun go down. Start with lunch at our neighbour Wood Fire Grill, before stepping about M.V. Catalina for one of their Saltwater Sunday sessions with live music and cocktails, or boutique beers and wine. 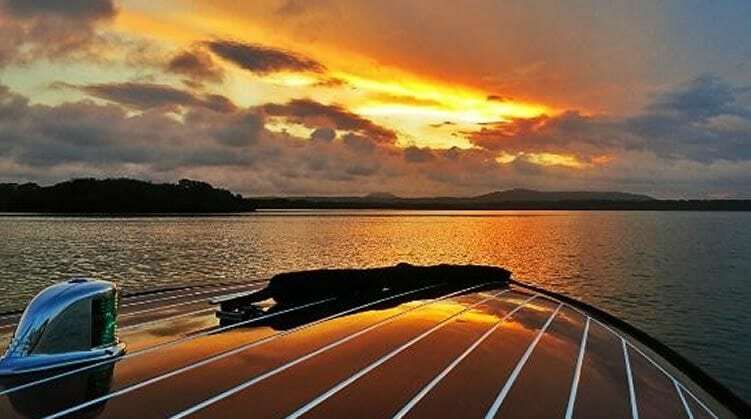 Cruise like a movie star in Cannes along Noosa River on the classic wooden speed boat Noosa Dream. 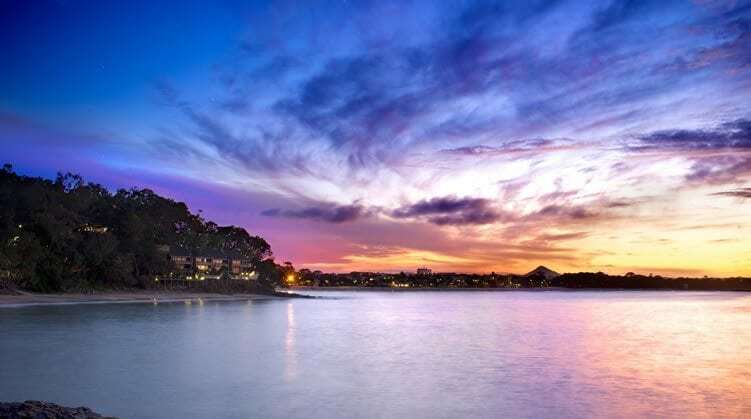 In true film star style, you can even be picked up from the Rickys and Wood Fire Grill jetty. 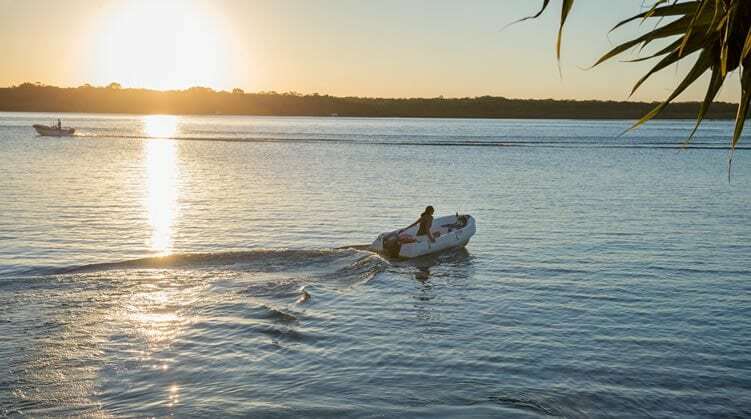 The Noosa River Mouth is a beautiful spot to watch the sun go down as you sit on the waters edge looking out over the long stretch of white sand and beautiful coastline of Noosa North Shore and Noosa Main Beach. 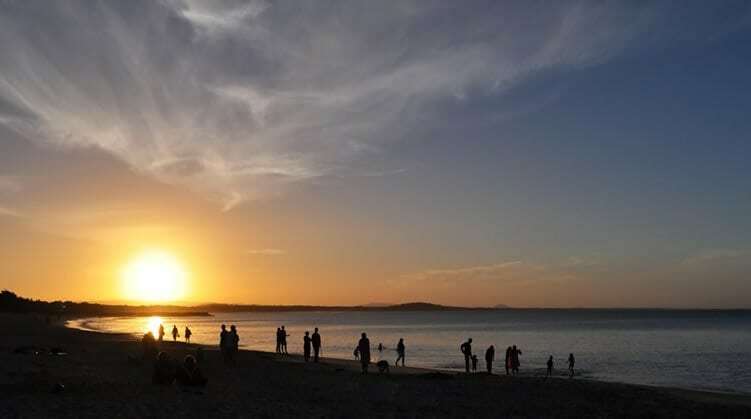 Watch as the sun slips away and take in the natural beauty of this region.